Hillary Clinton speaks at C.B. Smith Park in Pembroke Pines. Rogers is part of a growing number of voters this election season who “swapped votes” with someone in a reliably Democratic state. 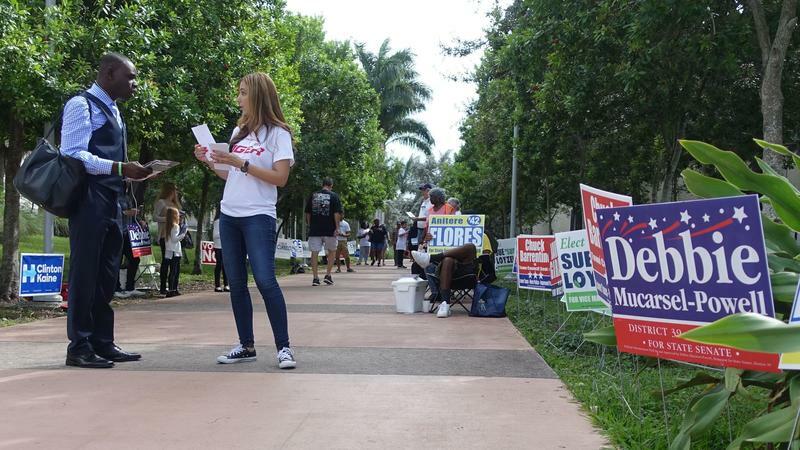 Through apps and personal networks, people in key battleground states like Florida are swapping votes with voters in Democratic strongholds like New York or California. “Our vote for a Green Party candidate still counts and will still be recognized, but we are strategically trying not to have Trump in office,” said Rogers. Third-party voters say the two-tier political system simply does not work and this push to legitimize their candidates is not necessarily about winning the election. If one of the third-party candidates is able to capture at least five percent of the national popular vote that means a cash infusion of federal funds for their party in the 2020 presidential election. “We still need those votes [for third party candidates] to be counted so we can have more opportunities to have more candidates that represent our interest in the future,” said Rogers. The whole vote-swapping system operates on an honor system. The Florida voter casts a ballot for Clinton and the voter in another state casts his or her ballot for a third-party candidate. In South Florida, Subhash Kateel has been acting as a middleman to strike these deals through his social media networks. Kateel said he noticed some people were wary of an app when it came to swapping votes and were more comfortable with going with a friend of a friend. It started with one Facebook post and now he’s gotten dozens of requests from friends who want to swap votes. 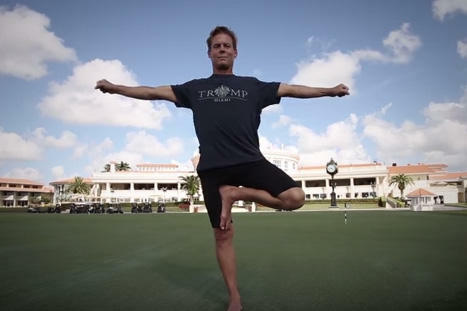 “Some people are scared to death that Trump could actually win,” he said. Most of the swaps he’s coordinating are among friends who live in New York and Florida. He said the swaps have opened up conversations about why people are voting for certain candidates. “I feel like there was this really deep argument about people who wanted to vote for third-party candidates and this finds a way to heal that rift,” he said. And in the process this unofficial network of vote swappers are also forging new friendships said Kateel. Still, he said many of the people using the swap system in Florida are not happy they had to vote for Clinton, but this provided them a clear conscience to do so. “I know a lot of people who have really struggled over not wanting to vote for Hillary and not wanting Trump to become president,” said Kateel. Rogers, the community organizer, cast her ballot for Clinton during early voting. “Bubbling the vote for Hillary Clinton made me upset, but we can’t have a lunatic in office,” she said, referring to Donald Trump. Donald Trump has repeatedly said the 2016 presidential election is "rigged." There's little evidence to support that claim, and both Democratic and Republican leaders have criticized Trump for making it. 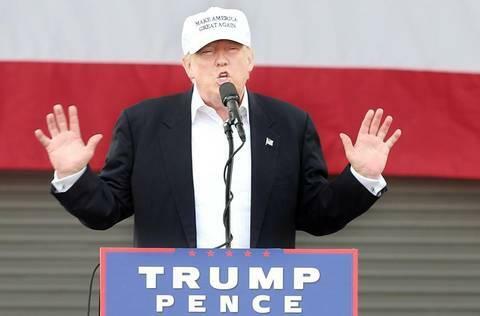 But he said it again Wednesday in a speech at Miami’s Bayfront Park. 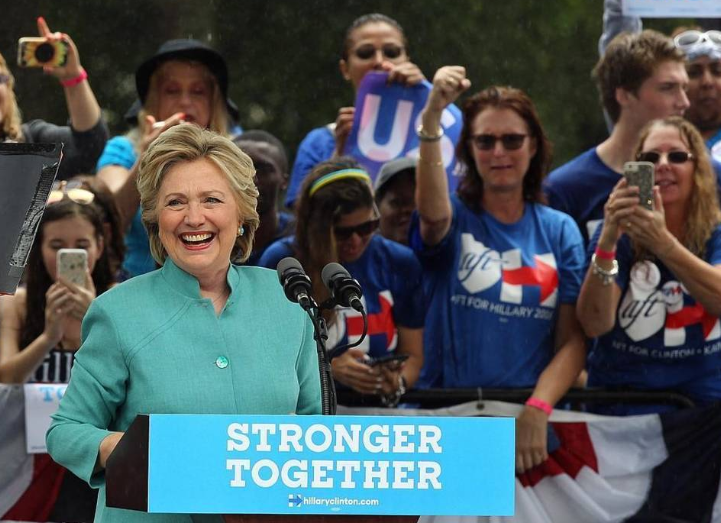 The Broward Teachers Union welcomed Hillary Clinton to Pembroke Pines on Saturday for a last-minute appearance cut very short by heavy rainfall.